GEA, Düsseldorf, Germany, reports that a successful collaboration with its long-term customer Chr. 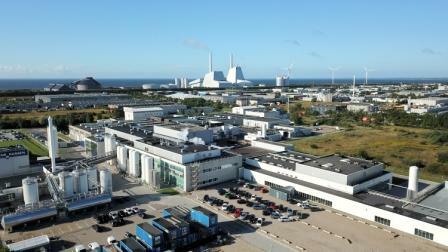 Hansen has been completed with the inauguration of the world’s largest fermentation plant for bacterial cultures at the customer’s site in Copenhagen, Denmark. Chr. Hansen is a global bioscience company that develops natural solutions for the food, nutritional, pharmaceutical and agricultural industries. The production site now comprises, with the latest highly complex AIR17-fermentation project, four production lines: two lines with 45m3 fermentors each, and two lines with 100m3 fermentors each, which makes it the largest production site of its kind worldwide.